Derek Carr might have picked a fight with the wrong guy, if oddsmakers are correct about an unlikely scrap with First Take mouthpiece Stephen A. Smith. If the Oakland Raiders QB got his wish to tangle with Smith in the UFC Octagon, Bovada listed the controversial Smith as a -130 favorite! 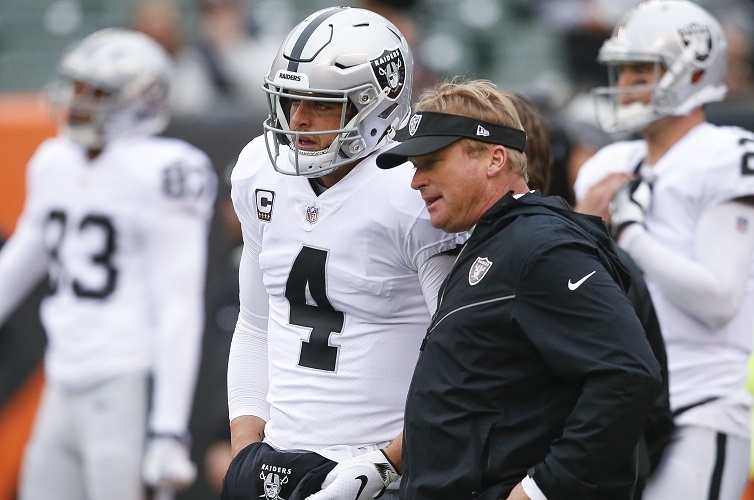 How Did Derek Carr vs Stephen Smith Fight Betting Odds get started? For those sensible folks out there who have missed or ignored this sudden social media fracas, Carr got very angry very quickly about some comments host Max Kellerman made. Stephen A Smith jumped into the debate to invite Carr on the show to talk football, since Carr questioned their competence. Carr’s delightfully childish response was a tweet to UFC boss Dana White proposing a fighting series where athletes could challenge media personalities who badmouthed them. When Smith invited Carr to do battle – in an interview or debate, not in the UFC Octagon – Twitter blew up and Bovada posted odds on the potential scrap. That ‘nobody hiding’ signoff was apparently taken as a ‘let’s take this outside’ instead of how it was apparently intended. The silly chronology of how this all started is covered pretty well over at SilverandBlackPride.com on the SBNation network. So why are we perpetuating this silly little spat? First off, its fun. Second, they started it! Check out the Derek Carr vs Stephen Smith fight betting odds over at Bovada.